Volunteer Befrienders support people to stay active, interact with others and live as well as possible with dementia. People with dementia benefit from social interaction, mental and physical activity and increased confidence to live in their own homes and their local communities. The Bromley Dementia Support Hub is recruiting volunteers to its team of Volunteer Befrienders to support some of the 4,000 people in Bromley borough diagnosed with dementia. Dementia Hub volunteers provide people with companionship, support to continue with hobbies and personal interests, help with day-to-day activities such as a walk in the local park, a shopping trip or a visit to a local group. Gill wanted to do something worthwhile with her retirement. The role as a dementia befriender appealed to her due to close family experience of dementia. Gill joined the Bromley Dementia Support Hub as the first Volunteer Dementia Befriender. 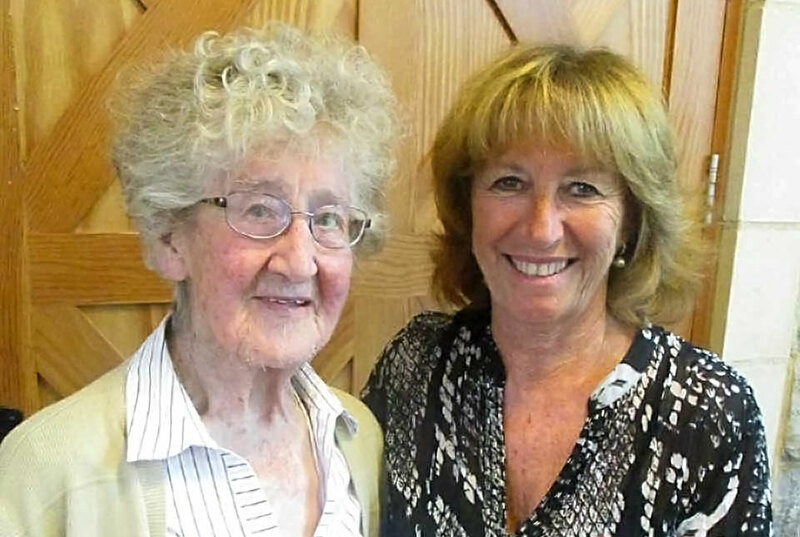 In March 2017, she has matched as a befriender to Ruth, who 94 years old and lives with dementia (Gill and Ruth both pictured above). Gill often takes Ruth out of the house in the community to the local pub for lunch or the local Dementia Café in Chislehurst, where Ruth enjoys meeting other people living with dementia. At Ruth’s home, Gill and Ruth read through newspapers together and talk about current affairs. Gill enjoys her role as Volunteer Dementia Befriender so much, she has convinced her husband to become a volunteer too. Volunteers don’t need to have had experience of dementia or dementia care to help. Volunteers need time to volunteer on a regular basis, be patient and good listeners. Training and ongoing support are provided. Find out more, including contact details, here.